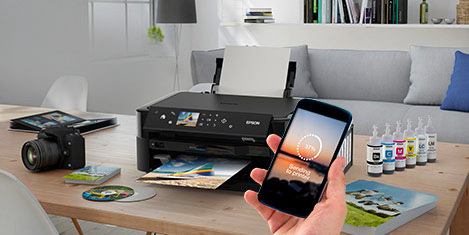 Letting you print thousands of pages without worrying about additional costs, this EcoTank ITS printer comes with up to three years’ worth of ink included1. Providing a fantastic solution for busy households, this reliable and easy-to-use model features an enhanced ink filling system and new ink bottles engineered to minimise the risk of spills. Three whole years1 – that’s how long you could go without buying more ink for the L4150. 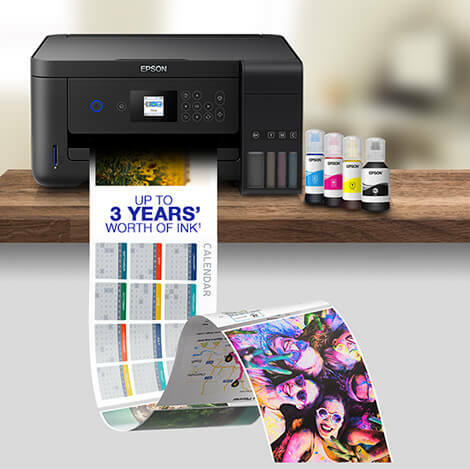 Giving you an extremely low cost per page, it produces up to 14,000 pages in black and 5,200 in colour with the included ink2.